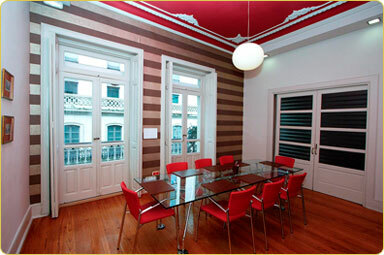 A new Business Centre is born in Vigo with a very special feature: its style. From one up to five working stations (12-18 m2), our offices are ready for an immediate installation. The main purpose of a registered address is that you or your business can be traced and that you are contactable. Numerous small companies/business set-ups do not wish to use their addresses as a registered address for official communication. This is because an effective and prestigeous business address plays a crucial role in creating a good image of a company in the eyes of the customers, and therefore using a reputable address as your registered business address can give you an edge over your competitors. An effective registered business address also ensures prompt and reliable delivery and receipt of official mail. The registered business address service is ideal for sole traders, home-workers, startup businesses or companies owned by people residing outside Spain. • Use of the URSARIA business centre postal address for commercial purposes. • Use of the registered address on your business stationary. • Reception of correspondence and packages. • Immediate notice of urgent communications. • Visitor welcoming service according to the client's instructions. 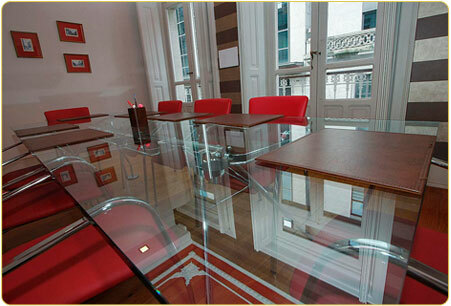 • 25% discount in the occasional use of offices and meeting room. We offer, in addition to the services included in the Registered Business Address service, a personalized call answering service which allocates real receptionists to handle and/or forward calls on your behalf and following you specific instructions. 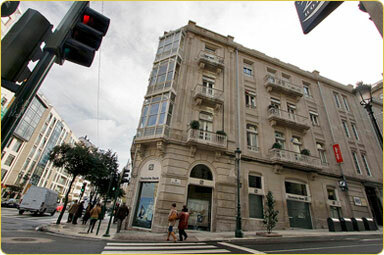 Use of the URSARIA Business Centre postal address for commercial purposes. Use of the registered address on your business stationary. Reception of mail and packages. Immediate notice of urgent communications. Visitor welcoming according to the client's instructions. Dedicated and exclusive phone number. Phone calls handling. 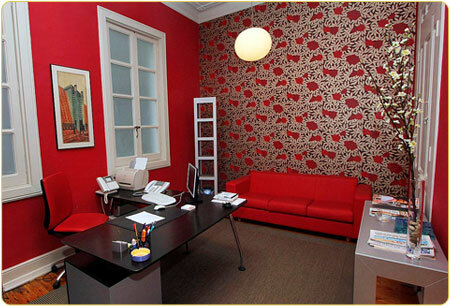 Our receptionists will answer, screen and transfer calls in your company's name with personalized greetings. Receptionists will announce the person calling you before your accept their call. 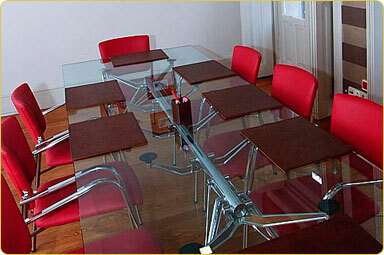 25% discount in the occasional use of offices and meeting room. Our meeting room provides a perfect environment for your training courses, business meetings, personnel selection processes, executive breakfasts/lunches, presentations. Address : c/Rep. Argentina, 25-2º Izda (Vigo-36.201). 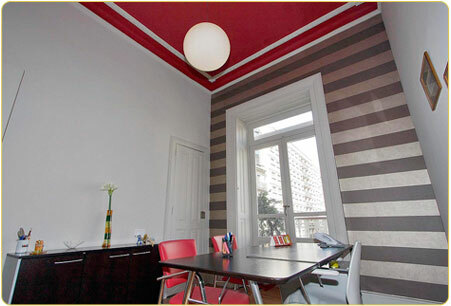 Placed in a beautifully restored, antique building, URSARIA has a very characteristic and cozy style. 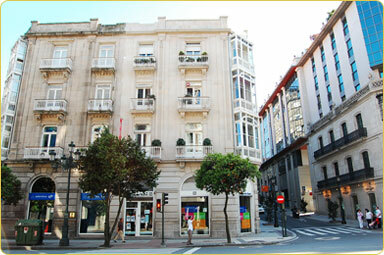 Set in the financial and geographical heart of the city of Vigo (a view to the NH Hotel Palacio de Vigo, the Chamber of Commerce and the Community Fisheries Control Agency), URSARIA is strategically located in relation to the transport network (walking distance to the Port, 5 min. walk from the Railway Station, 15 min. 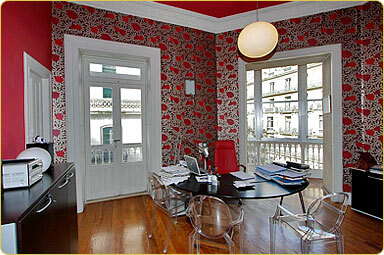 by car from the airport and good access to the highway AP9) and is surrounded by parking areas. 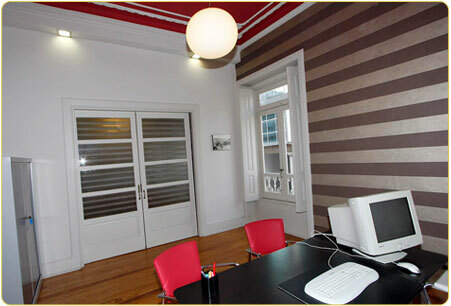 With no capital investment required, URSARIA offers its clients all the services you may expect from a modern business centre: outward-facing and bright offices, a meeting room, reception, Registered Business Address and Virtual Office services, as well as a wide range of additional services meeting the needs of each one of our clients. 1- What is a Business Centre? It is a company specialized in offering other companies and professionals office space and meeting rooms perfectly equipped and ready to use as well as administrative support, so they can install immediately. 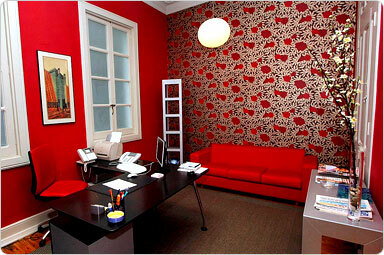 This way, you will not need to invest money in order to install your office and you will reduce your monthly expenses. 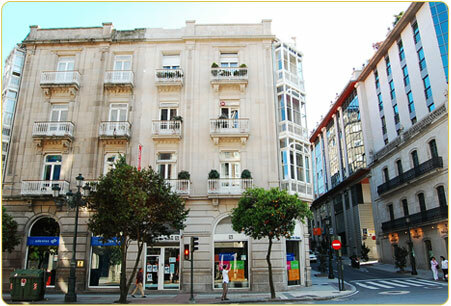 Your company will benefit from an office placed in a very prestigious location, as our premises are located in the financial and commercial heart of the city of Vigo. 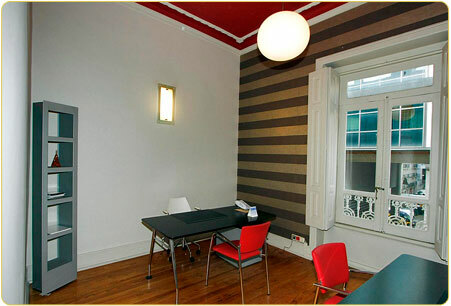 Tailor-made offices. 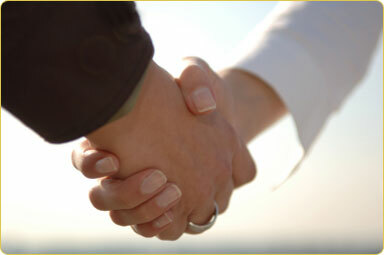 Your business will be running immediately from the very moment you hire our services. No capital investment needed. Your monthly expenses become fixed, and don't fluctuate. Flexible rental terms (hourly, daily or monthly). 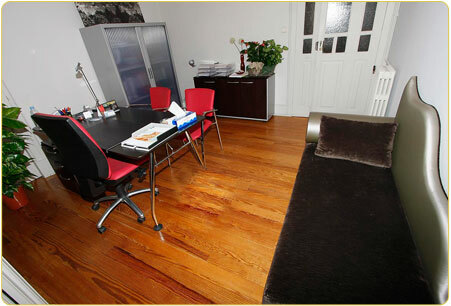 Wide range of additional services (in-house services, or pre-arranged with other companies). In the current times we live in, companies are making more and more use of Business Centres and Virtual Office Services in order to be competitive in fast-changing markets. 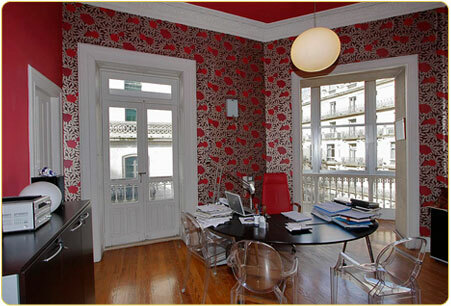 Business Centres are ideal for self-employed, professionals, brand new companies, branches, or even international companies who want to set up a delegation in a prestigious area of Vigo. Whether you or your company are starting a brand new business, or you are already settled and simply want to reduce drastically your expenses, URSARIA provides the possibility of avoiding the high expenses a new installation entails (IT equipment, telephone, copier machine, fax, furniture), as well as a permanent quality service (reception with qualified secretaries, catering, electricity, water, heating, daily cleaning, etc). Our centre is also ideal for companies or professionals who need to have at their disposal office space for a determined period of time, as we offer the possibility of renting our offices hourly, daily or monthly. 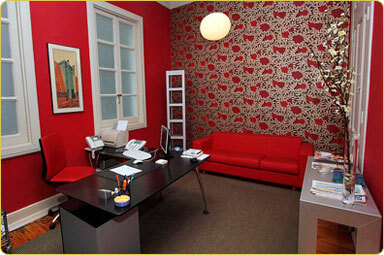 URSARIA adapts to your needs and offers you a tailor-made office: you will exclusively pay for the services you need. 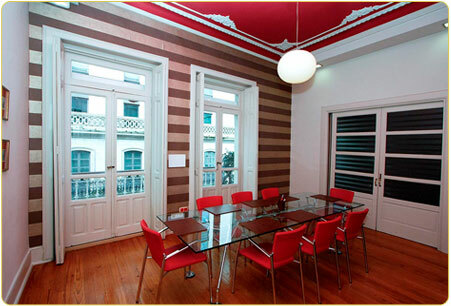 Below you can find a comparison of the expenses related to an office in the URSARIA Business Centre and the expenses related to an office located in the same area in Vigo and with the same services.